An Australian Not for Profit has launched a free tool that it claims will help a growing number of conscious consumers to browse and buy ethical products from thousands of online brands without changing how they shop. This week Ethical Consumers Australia (ECA) announced the launch of Good On You, a browser extension which makes shoppers aware of products’ impact on people, the planet and animals. The extension automatically detects brands in its 1500-strong database on any page a user browses, and displays a one-click ethical rating. The rating system, designed using input from NGOs like World Vision, Rank A Brand, Behind the Barcode, Ethical Clothing Australia, and Choose Cruelty Free, brings together available information about brands’ labour record, environmental practices and animal welfare. The NFP says Good On You lets shoppers take their values into account as easily as they can compare price, size and colour. Categories covered include clothing, shoes, cosmetics, electronics and baby products. Good On You is currently compatible with Google’s Chrome browser, and ECA said it plans to produce similar extensions for other browsers in the future. ECA said most consumers care about what they buy – according to McCrindle Research, 77 per cent are more likely to purchase a product that supports animal welfare or the environment. But knowing where to start can be difficult, and ethics often go out the window at the checkout. 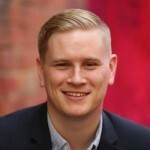 CEO of ECA and former Director of Campaigns at CHOICE, Gordon Renouf, said an information vacuum was dramatically curtailing people’s ability to affect change by voting with their wallets, and Good On You aimed to empower consumers by giving them access to brands’ practices at their fingertips. “We built Good On You to reduce the time and effort it takes people to buy things that are consistent with their values,” Renouf said. “There's a big gap between what people care about and how they spend their money, and our aim is to bridge that gap. The Good On You extension is the simplest way to give shoppers convenient access to information that might change the way they buy.